When you choose Lavty, you get a deeper clean, faster-drying carpets and a healthier home for you and your family. We use the most advanced technological carpet cleaning equipment, as well as the most efficient techniques, in removing everything from spots, heavy traffic areas, pet stains, and anything else that your carpet has happened to accumulate over the years. We take pride in our cleaning methods, making sure you are getting the best, safest and cleanest carpet cleaning experience you can. Our cleaning solution is carbonated and, just like soda, as it penetrates deep into your carpet’s fibers, it lifts the dirt from deep within your carpets so it can be whisked away with our powerful extraction equipment and there isn’t dirt left behind, so carpets stay cleaner longer. Our cleaning process uses 80% less water than typical steam cleaning, so carpets dry within hours, not days. This means you and your family can get back to enjoying your home sooner. Also we use green cleaning solution that doesn`t contain any chemicals and is completely safe and non-toxic for your family and pets. Just like your carpet, your furniture gives comfort to your interior—and, just like your carpet, your furniture can also get dirty over time. We specialize in cleaning multiple types of home furnishings. When you need your upholstered furniture refreshed, call us. With Lavty, you don’t have to worry about soaps or harsh chemicals that can leave a sticky residue and could be harmful to children and pets. We use green, carbonated cleaning solution that works wonders on upholstered furniture. That means our upholstery cleaning process for furniture is dries faster and safe for your family. Cleaning and protecting your furniture not only makes your home look great, it extends the life of one of your home’s primary investments. We recommend deodorize and protect your furniture after every cleaning. We spray the protector on your furniture to create an invisible barrier around the fibers. This improves resistance to dry soil, water-based stains, and daily wear and tear. Cleaning tile floors by hand is hard work, uncomfortable and impossible to get the deep-clean results that come with professional tile and grout cleaning. Grout is a porous material, collects dirt, grime and spills, often discoloring the surface. Regular mopping and spot cleaning don’t reach the hidden dirt that lies deep within the pores of your grout lines. 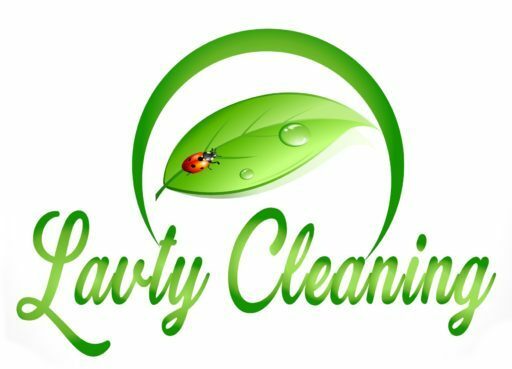 Lavty professional tile and stone cleaning reduces the dirt and bacteria that can spread germs. We use advanced cleaning equipment that utilizes heat, cleaning solutions, pressurized water, and vacuums to loosen and remove embedded dirt. So your surfaces and your home will sparkle and be safer for your family and pets. Hardwood flooring adds elegance and charm to your home. Over time, though, hardwood flooring accumulates scuffs and spots, becoming dirty. We understand the complexities associated with hardwood floor cleaning and why it’s important to properly seal and maintain hardwood floors. We use powerful cleaning equipment to loosen dirt and mopping residue from within your floor. Our cleaning solution purges the floor of any remaining debris, before the dislodged dirt and the solution itself are vacuum away, and we follow up with a detailed hand cleaning for those hard-to-reach areas. After your hardwood floors are cleaned, we apply our fast-drying maintenance coat for a uniform sheen that helps to extend the life of your floor.